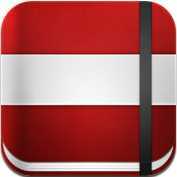 Provides summaries of mobile applications for law students and lawyers, including for iOS and Android. Check back often and send us your favorites! With the Adobe Acrobat DC app, users can easily read and share PDF documents, includng PDF portfolios, password-protected PDFs, and Adobe LiveCycle rights-managed files, across platforms and devices. The app is FREE and may be downloaded from the iTunes App Store. 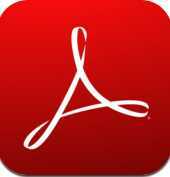 For Android owners, the Adobe Reader may be downloaded for FREE from Google Play. A hat tip to Gary Price of the Resource Shelf blog for alerting us to the excellent array of Bing mobile apps, which are FREE and available for iPhone and iPod Touch, Droid, Windows Phone, Blackberry, and Sidekick devices (click on the foregoing links to download the app to your device). Owners of other devices may access Bing by pointing their device's browsers to the Bing mobile website at http://m.bing.com. 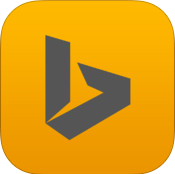 As noted in the Bing Community blog post, the Bing app for iPhone has been updated to allow users to see status updates from their social network accounts included within their Bing app search results. The app also now includes visual scanning features that you can use to scan barcodes and cover art of books, CDs, DVDs, or video games and retrieve descriptions, reviews, prices, and links to merchant websites. 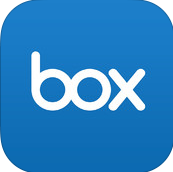 Box is a great app that allows you to store, view, edit, share, and collaborate on files in a variety of formats from your device. Supported file types include Word, Excel, PowerPoint, PDFs, images, audio, videos, and Box Web documents. The app is FREE and provides 10 GB storage capacity. The app may be downloaded from the iTunes App Store for use on all iOS devices and from Google Play for Android devices. BrowZine​ is an excellent app that provides access to open access and selected journal content licensed by the UCLA Library. You can browse content by topic or title, view recent tables of contents, and add favorite publications to your own bookshelf within the app. Articles may be exported to other apps such as EndNote, Mendeley, Zotero, RefWorks, and Dropbox. 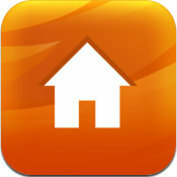 The app is FREE and may be downloaded from the iTunes App Store for iOS devices or from Google Play for Droid devices. 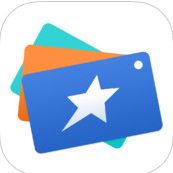 CardStar is a FREE app compatible with iPhone, iPod Touch, iPad, Blackberry, and Android devices that lets you store and retrieve loyalty, reward, and club membership cards, where they can be scanned directly from your screen at most merchants' stores, such as CVS, Best Buy, Blockbuster, and PetSmart. The app may be downloaded from the iTunes App Store for use on the iPhone, iPod Touch, or iPad; from Blackberry App World for use on Blackberry devices; and from Google Play for use on Android devices. CLE Mobile is a great tool by West that allows attorneys to complete continuing legal education courses on their iPhone, iPod Touch, and iPad devices. With the app, users can download courses, listen to audio content, browse program materials, post to discussion forums, and submit completed courses for CLE credit. The app is FREE and may be downloaded from the iTunes App Store. Dictionary and Thesaurus is a FREE mobile dictionary and thesaurus app that is available for download in the iTunes App Store, Google Play, and Blackberry App World. The app includes nearly 1,000,000 words and definitions and 90,000 synonyms and antonyms. No Internet connection is needed. The app also features audio pronunciations, similarly spelled words and Dictionary.com’s popular Word of the Day. 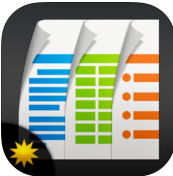 Documents To Go Premium - Office Suite is an app developed by DataViz that lets you edit, create, and view Word, Excel, and PowerPoint files (Office 2007 and newer versions). Other file types, such as PDF or iWork files, may be viewed with the app. Features include the ability to sync supported files stored in Google Docs, Dropbox, Box.net, iDisk, and SugarSync. The app may be downloaded from the iTunes App Store and currently costs $16.99 (the app is also available in Google Play for $9.95). A less-expensive version of Documents To Go is also available that includes many of the same features at a cost of $9.99; however, this version of the app does NOT include the ability to edit PowerPoint files or the ability to view, edit and sync files stored in Google Docs, Box.Net, Dropbox, iDisk, or SugarSync. This latter version may be downloaded from the iTunes App Store for use on all iOS devices and from Google Play for use on Droid devices. 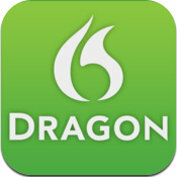 Dragon Anywhereis an easy-to-use voice recognition app that allows you to dictate messages using your device. 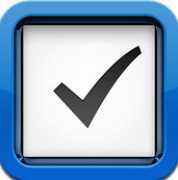 The app may also be used to update your status on social networks such as Facebook and Twitter. The app is currently FREE and is available for download from the iTunes App Store for iPhone, iPod Touch, and iPad devices, from Blackberry App World for Blackberry devices, and Google Play for Android devices. Dropbox is a great productivity app, which serves as a cloud-based, shareable virtual file system. The app is FREE and allows you to view documents, spreadsheets, presentations, videos, and photos, export files to other iPhone, iPad, or Android apps, and more. Users receive 2 GB of free storage. The app requires a Dropbox account to function, but if you do not have an account, the app will allow you to create one for free. The app may be downloaded from the iTunes App Store for use on iPhone and iPad devices, and from Google Play for use on Android devices. 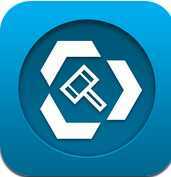 eDepoze is an app optimized for the iPad that provides convenient access to digitized deposition exhibits and other documents through a secure, cloud-based software system. The app is FREE and may be downloaded from the iTunes App Store. 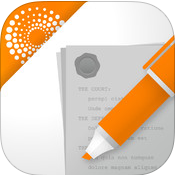 E-Transcript is a productivity app designed to integrate with Westlaw's Case Notebook. 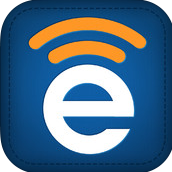 The app is optimized for use on both the iPhone and iPad and enables you to annotate e-transcripts on the go. Among the features of the app are: a word index, which allows you to search and find terms within an e-transcript; the ability to receive e-transcript format (PTX) via e-mail, Dropbox, or iTunes; and the ability to annotate an e-transcript using your iOS device. The app is FREE and may be downloaded from the iTunes App Store. The feature that enables you to export an annotated e-transcript from your device is available only for individuals with access to Westlaw Case Notebook. Users without a subscription to Westlaw Case Notebook may still annotate an e-transcript, however. EndNote for iPad is a citation management tool that enables you store, organize, and search research gathered from PubMed, Web of Knowledge, or any other database. Other features include a PDF annotation tool, the ability to share documents via email, and the ability to synchronize bibliographies across your devices and computers. The app is $9.99 and may be downloaded from the iTunes App Store. 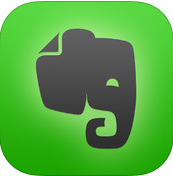 Evernote is an award-winning app that lets you jot down notes, snapshots, and recordings, on everything from lectures, meetings, and business cards. Notes and reminders are easily searchable on the device or your desktop when the device is synchronized to the desktop. The app supports most devices and is available for download for FREE in Blackberry App World, the iTunes App Store, or Google Play. Firefox Web Browser is available for both Android and iOS. The app provides you with access to their Firefox history, bookmarks, and open tabs as stored on your desktop computer. The app is FREE and is available for download from Google Play and from the iTunes App Store. 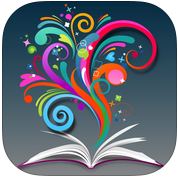 The GoodReader app is a robust reader that was named the top-selling, non-Apple app for the iPad in 2010. The app lets you view and annotate a variety of file types, including PDF, text, Word, PowerPoint, Excel, and iWork files. Media file formats are supported as well. The app integrates easily with Google Docs, Dropbox, SugarSync, Box.net, and FTP and SFTP servers. The app currently costs $4.99 and may be downloaded from the iTunes App Store. 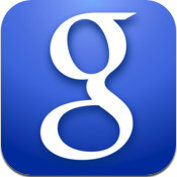 Google Mobile App is a great tool that allows you to search Google quickly using voice commands. The app is FREE and is available for download from the iTunes App Store. The app is compatible with the iPhone, iPod Touch, and the iPad. For a list of Google apps available for Android devices, please see the list available at Google Play. Haiku Deck is an app that enables you to create stunning presentations using your iPad. The app has been featured in iTunes' "New and Noteworthy" and "What's Hot" lists, and reviewed favorably by the Wall Street Journal, Lifehacker, and even Creative Commons Founder and law professor Lawrence Lessig. Background images for your presentations can be created using millions of free, high-quality Creative Commons-licensed photos, or by importing images from your own photo stream using your device, Flickr, Picasa, Instagram, or Facebook. A number of image filters are also available, as are a variety of fonts. In addition, presentations created using Haiku Deck may be shared using e-mail, Twitter, or Facebook, or via diisplay with an iPad, projector, or any web browser. Presentations may also be exported in PPT or PDF formats. The app is FREE and may be downloaded from the iTunes App Store. 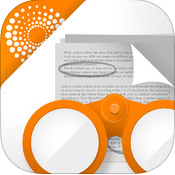 iAnnotate 4 is a mobile app that lets you read and annotate PDFs with text notes, highlighting, stamps, bookmarks, and a variety of other markings. Other features include the ability to convert web pages, Word, and PowerPoint files to PDF, a customizable toolbars, VGA output, and copy-and-paste. The iOS app is currently available for $9.99 and may be downloaded from the iTunes App Store. 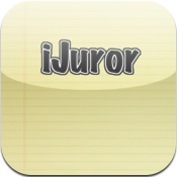 iJuror is a mobile app developed for use on the iPad that aims to help facilitate the jury selection process. The app allows you to tap on seats to add juror information, add notes as the trial proceeds, and to drag and drop juror avatars to select jurors and alternates, or to dismiss jurors. The app is currently available for $9.99 and may be downloaded from the iTunes App Store. 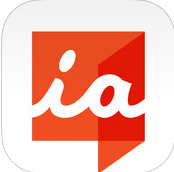 Ilaro is a note-taking app optimized for use on both the iPhone and iPad. The app, among other things, enables you to create, organize and share notes, search notes by subject category, track citations, and manage multiple research projects. Ilaro is available for $9.99 and may be downloaded from the iTunes App Store. To learn more about Ilaro, please visit the developer's website at http://2209squared.com/. 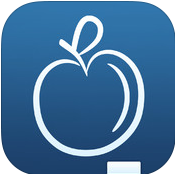 iStudiez Pro is an award-winning app that helps students organize their lives. With an easily navigable calendar and interface, the app lets you organize your schedules by color, date, and other methods, and includes an alarm feature. The app is available for purchase for $2.99 from the iTunes App Store and is compatible with iPhone, iPod Touch, and iPad devices. Researchers may already be familiar with the web-based Mendeley, a free reference manager and academic social network that helps individuals discover and organize their research and collaborate with others online. 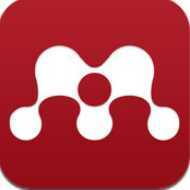 Mendeley also has developed a mobile app for researchers on the go. The app is FREE and may be downloaded from the iTunes App Store. Developed by Microsoft, the Microsoft Word app lets you read and edit Word documents on your mobile device. Office 365 subscribers have access to advanced editing features. 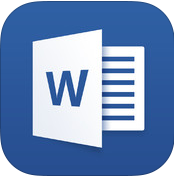 The Microsoft Word for iPad app is FREE may be downloaded from the iTunes App Store for iOS devices and from Google Play for Android devices. 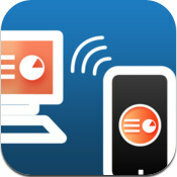 The MyPoint app allows your device to function as a remote control for PowerPoint presentations on Windows and Mac OS X. Features of the app include a slide browser, display of current slides, notes, and a preview of upcoming slides. The app is very handy for presentations in which the screen is behind the speaker! 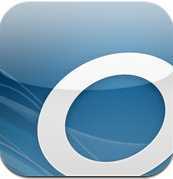 The app is FREE and may be downloaded from the iTunes App Store for use on the iPhone, iPod Touch, and iPad. To use the app with your computer, a small application must also be installed on your computer, which is available on the developer Didonai's website. 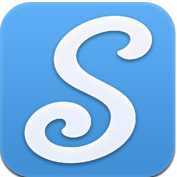 Apple named Notability as one of the best-selling note-taking apps in recent years. Among the helpful features of this productivity app: ability to create handwritten, typewritten, or audio recorded notes, ability to annotate PDFs, automatic backup in the cloud, and the ability to insert media in notes. The app is currently on sale and available for $2.99 from the iTunes App Store. 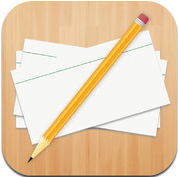 Noteshelf is a handy productivity app for users who prefer creating notes by handwriting. The app allows you to organize notebooks, to share notes via social networks, to export notes to Evernote and Dropbox, to protect notes with passwords, and to tag notes to help you search for and quickly access desired content. The app is available for $5.99 from the iTunes App Store. 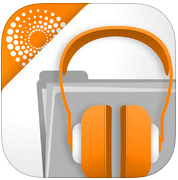 The OverDrive Media Console app is an audiobook app that provides access to MP3 audiobooks from more than 10,000 public library websites. 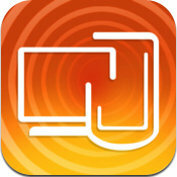 The app allows you to "check out" audiobooks from public libraries and to listen to the books on your device. MP3 files checked out using the app automatically expire in the app, so you don't need to worry about late fees! The app is FREE and may be downloaded from the iTunes App Store for use on the iPhone, iPod Touch, and iPad, or from Google Play for use on Android devices. 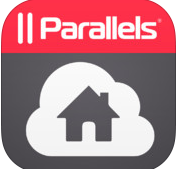 The Parallels Access app is a tool for Mac owners that allows you to access your desktop Mac remotely from your iPad, iPhone, or iPod Touch. To use the app, Parallels Desktop for Mac must be installed on the desktop Mac as well. Although the app is free, full functionality of the app after an initial trial requires a monthly ($4.99) or annual ($49.99) subscription. The app may be downloaded from the iTunes App Store. 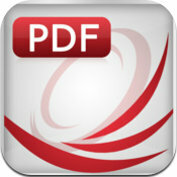 PDF Reader Pro Edition is an excellent mobile PDF reader created by iTech Development Systems. The app is optimized for use on iPhone, iPod Touch, and iPad devices and allows you to transfer your PDF files to your device from your computer or directly from any website. The iPhone and iPod Touch version of the app is $4.99 and is available for download in the iTunes App Store. The iPad version of the app is $9.99 and also may be downloaded from the iTunes App Store. 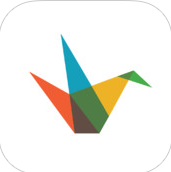 Pocket is a handy "read-later" app that enables you to save or bookmark articles, videos, and webpages on your device to view, even when you are offline. Pocket works in conjunction with a web-based tool that makes it easy to sync items between your computer and device via bookmarklets or browser extensions for Chrome, Safari, Firefox, and Internet Explorer. The app is FREE and may be downloaded from the iTunes App Store for iOS devices, and from Google Play for Droid devices. 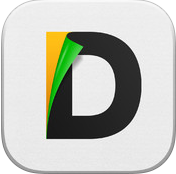 Documents by Readdle is another option for an app that enables document viewing and file managing. Readdle allows viewing of PDF, Word, Excel, PowerPoint, and iWork files. The app also lets you open attachments directly from e-mail and share files with others. The app is free and may be downloaded from the iTunes App Store. The RDM+ Remote Desktop app allows you to access Mac OS or Windows computers and to run any desktop applications remotely through NAT and Firewall. The app must also be installed on the desktop to be remotely accessed. The app is available for purchase for $7.99 from the iTunes App Store and for $39.99 from Blackberry App World (free trial is available). Many thanks to Mike Miceli, who alerted us to the Rocket Matter iOS app. 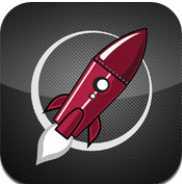 Rocket Matter is a legal time and billing app created with small and mid-sized law firms in mind. The app provides ready access to your calendar, contacts, and billing information and enables protection of such information with enhanced security features via user-defined passcodes. The app is FREE and may be downloaded from the iTunes App Store for use on iOS devices. 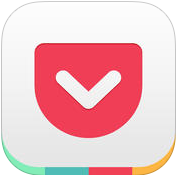 Shake is a productivity app that enables you to create, sign, and share legal agreements from your iOS device. The app features a number of templates for contracts, such as confidentiality and non-disclosure agreements, buy/sell agreements, rental agreements, loan agreements, and freelance agreements. The app also enables you to customize agreements by answering a series of questions. The app is FREE and may be downloaded from the iTunes App Store. 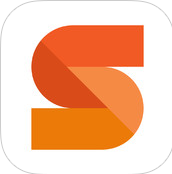 The SignNow app, selected by InformationWeek as one of the top 12 apps of 2012, allows you to sign and fill PDF, rich text, and Word documents directly on your device. Other features include the ability to email signed documents, integration with Dropbox or your email inbox, encryption, and printing with AirPrint-enabled printers. The app may be downloaded for FREE from the iTunes App Store for iOS devices, and from Google Play for Droid devices. The free download includes use for up to five documents per month. To enable use for more than five documents, monthly and annual subscriptions are available for purchase at $14.99 and $99.99, respectively. 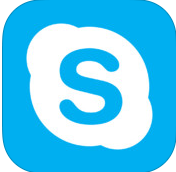 The Skype app lets you call and instant message anyone else on Skype for free, and call landlines, mobiles, and send SMS anywhere in the world at great rates. The app is FREE and requires a WiFi connection. The app may be downloaded from the iTunes App Store, Google Play, or from the Skype website for other devices using Verizon Wireless. Things 3 is a task manager that helps you organize and schedule tasks. The app includes access to Things Cloud, which stores task lists and provides ready access on all of your devices and any computer used. The app is $9.99 and may be downloaded from the iTunes App Store for use on iOS devices. 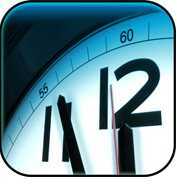 The Time Master + Billing app is a handy time-keeping app for attorneys who often work out-of-pocket. The app allows you to track time by start, stop, and/or by duration; keep multiple running timers, organize time records by client, track expenses, and more. The app is currently available for use on iPhone, iPod Touch, and iPad devices, and may be downloaded for $9.99 from the iTunes App Store. 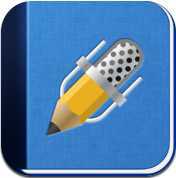 TranscriptPad is an iPad app that facilitiates mobile review and annotation of court reporter or deposition transcripts (supports ASCII/TXT files). The app enables you to search across an entire case, a single witness, or a particular deposition and to bookmark portions of a transcript for later reference. The app also enables you to print or email detailed or summary reports relating to transcripts. The app is available for purchase for $89.99 from the iTunes App Store. 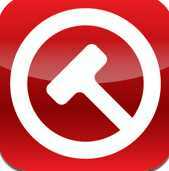 TrialDirector is an iPad app developed as an evidence management and presentation tool for litigators. The app allows you to create case folders, import exhibits to case folders via Dropbox or iTunes (either as single files or a folder), and, using features in the software program TrialDirector 6, annotate items and create exhibits in various formats (TrialDirector 6 software is sold separately). 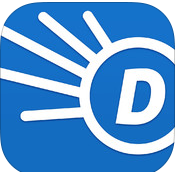 The TrialDirector iPad app is FREE and may be downloaded from the iTunes App Store. 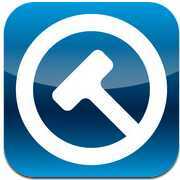 A hat tip to social media coordinator Aubrey Swanson for alerting us to the excellent legal presentation app TrialPad. The TrialPad app is specifically designed for litigators and attorneys to facilitate the prepartion and presentation of compelling demonstrations for trial. 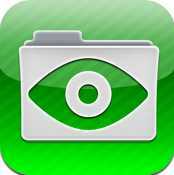 The app allows users to annotate, highlight, and redact PDF documents and also serves as a file management system. The current 2.0 version of the app supports a wide array of file formats, including PDF, JPG, GIF, PNG, TIF, TXT, as well as Microsoft and Apple file formats. Video formats are supported as well. A video demonstration of the app at work is available on the developer's website, http://www.trialpad.com/. The app is optimized for use on the iPad and may be downloaded frm the iTunes App Store for $129.99. 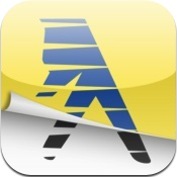 The White & Yellow Pages app, of course, is the popular directories in mobile app form. You can obtain phone numbers, driving directions, websites, and business information with easy navigation features. The app automatically locates where you are and ranks search results in the order of promixity to your location. The app is FREE and is available for download from the iTunes App Store or from Google Play. © 2018 (Design) The Regents of the University of California. UCLA School of Law. All Rights Reserved.